The theme for Spring 2013 seems to undeniably be pink! 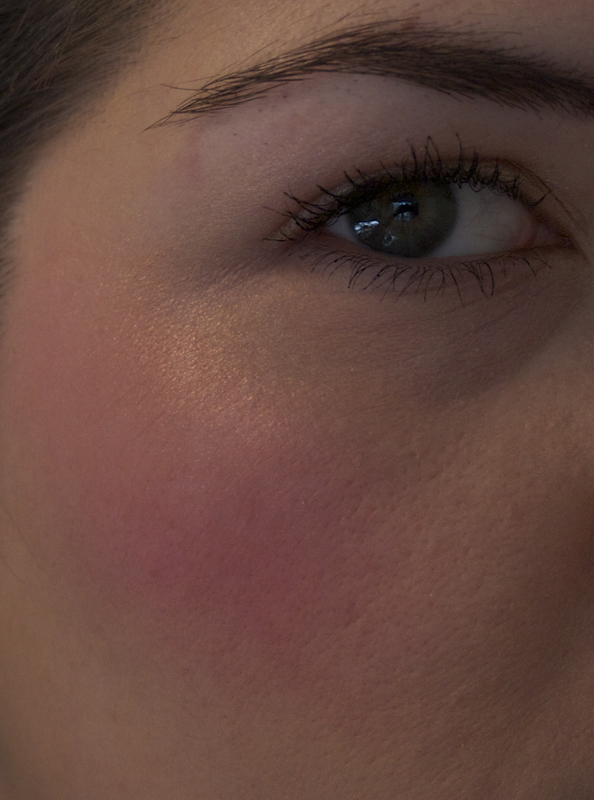 Pink lips, pink eyes, pink cheeks....you get my point. One of the most stunning pieces is Burberry's Pink Hydrangea blush--I had my eyes peeled for this one and ordered it as soon as it appeared on Nordstrom.com. 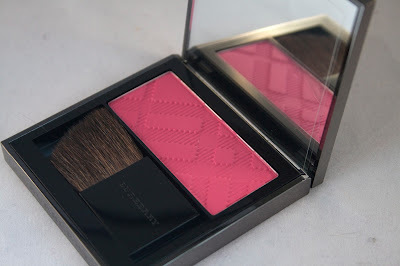 Burberry blushes earn rave reviews, so I had high hopes for this one. In the pan, Pink Hydrangea is a cool-leaning, vibrant pink. The texture is smooth and buttery, but I was fairly dismayed at how much powder was kicked up once I placed my brush into the pan. Nonetheless, upon application, it was smooth and easily blendable. 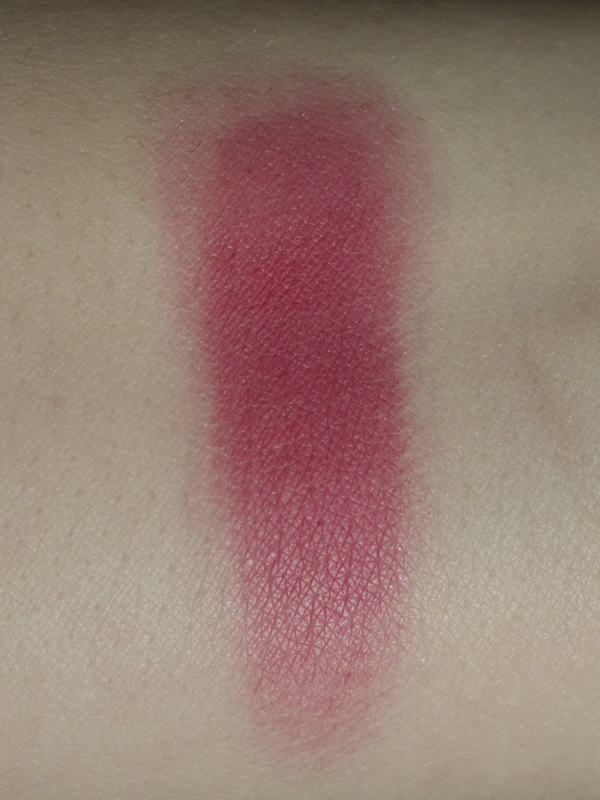 Once swatched, the colour of Pink Hydrangea is most definitely warmer than it first appears in the pan, but it retains all of the vibrancy! I think this swatch even reveals how smooth and buttery the blush applies. It definitely lives up to the reputation of Burberry blushes in that regard. Ultimately, Pink Hydrangea is a perfectly lovely blush, but I don't feel like it is special enough to warrant the $42.00 price tag unless you have nothing else like it in your collection!